I feel I'm in a dream. Not intended for publication or professional staging, Lindsay's Christmas Play was a seasonal diversion for the family, and was probably written in the 1930s. It remained something of a rumour till Douglas A Anderson unearthed it for publication in his anthology of short fiction by writers that may have inspired J R R Tolkien, Tales Before Tolkien. The fairy Emerald wants to find princes as husbands for the three daughters of a woodcutter, but Titania, Queen of the Fairies, says only two princes are to be found, and leaves the choice of the third husband to Mother Nightshade, a witch of evil repute. 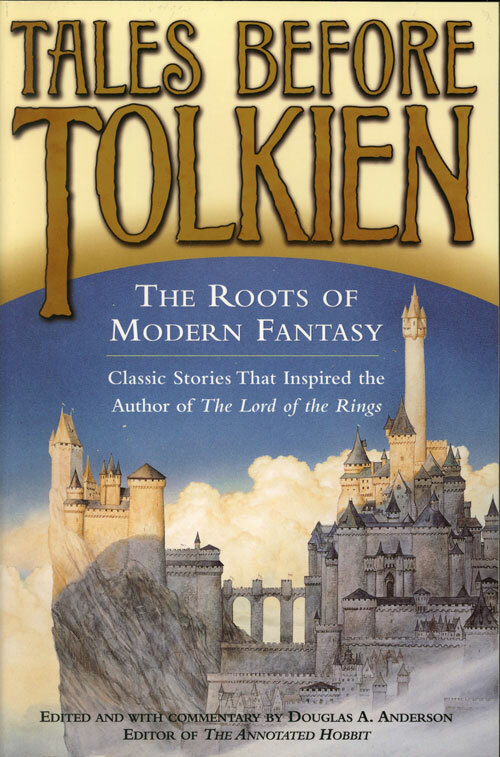 You can read an interview with Douglas A Anderson about Tales Before Tolkien here.